Ian McEwan’s Sweet Tooth: sexual politics in novel form. Want To Understand Sexual Politics? Read This Novel. Ian McEwan’s Sweet Tooth reveals the deepest ways in which men misunderstand women. WARNING: This essay reveals a major twist in Ian McEwan’s Sweet Tooth. You’ll get another warning right before the spoiler. There is no shortage of excellent, richly imagined books about female protagonists written by male novelists (think of Gustav Flaubert’s Madame Bovary or Henry James’ Portrait of a Lady, or Norman Rush’s Mating, or Ian McEwan’s Atonement), but there are very few instances of male novelists writing about writing about female protagonists. 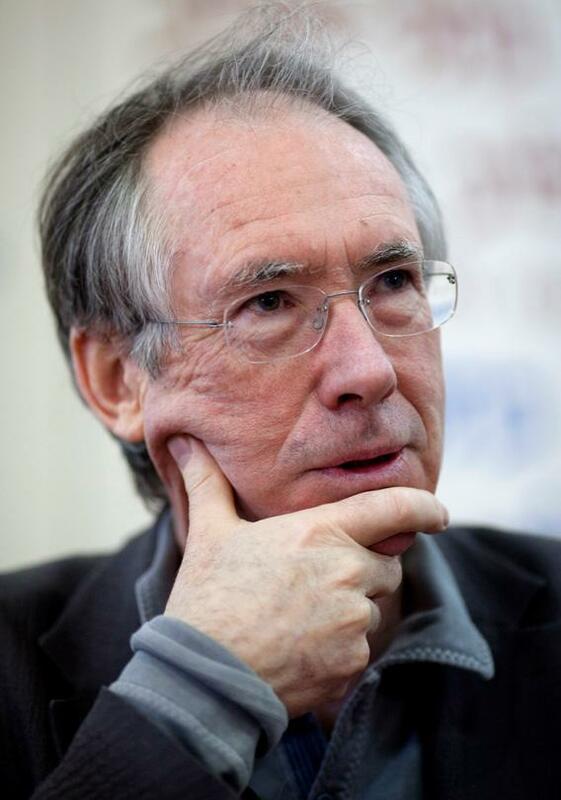 In Ian McEwan’s tricky and captivating new novel Sweet Tooth, he takes as his complex subject the male writer entering a woman’s consciousness (or it might be more accurate in this case to say breaking and entering a woman’s consciousness). From the start, one feels a certain uneasiness about his central character. Serena Frome, a low-level spy for MI5, is a little pliant, a little silly, a little bland, a little light on actual interest in her work, which she accidentally falls into because of a man, and remains engaged in because of other men; with her “summer blue eyes” and “old fashioned peaches and cream look” she is a creature of romantic attachment and nice hair. She is not exciting or daring or complicated in the way that we are accustomed to our female heroines being exciting or daring or complicated. And even with her unusual career, there is some element of independence or defiance or spark that is missing. So who is Serena Frome, the reader can’t help but feel, and why are we reading about her? Serena deceives her central romantic interest, the rising young novelist Tom Haley, by not revealing that she is a spy and that she has recruited him for a foundation funded by her agency, but her great deception is less a deception than a sort of girlish mistake, a fear of losing him, a missing of the moment. As she says of herself when she was young, “I was a girl with untutored tastes, I was an empty mind, ripe for a takeover,” and she doesn’t noticeably appear to grow out of those qualities. In short, one feels the character is a little thin to sustain a book-length inquiry into her life and times. And yet, it turns out McEwan is skewering, relentlessly examining and exposing this thinness, this fantasy of female consciousness for what it is—a man’s. Tom Haley’s subterranean feelings or ideas about women are illuminated in the intriguing glimpses we get of the stories he writes, short stories which in their jewel-like darkness and thematic precision bear a striking resemblance to early McEwan (See his 1978 collection, In Between the Sheets.) They are all unsettling commentaries on the perversion of fantasy, the frightening dominion of a man’s idea of a woman over anything resembling her self, the alarming deceptions and self-deceptions of love. There is a moment of revelation (and you should stop reading here, if you don’t want to know what it is) when McEwan tears the meta-fabric of the novel: He reveals that Tom Haley has been writing Serena’s story all along, which is very satisfying (rather than slightly maddening as these things can sometimes be) because the mind game is so elegantly contrived, because it snaps into focus suddenly, this flimsy, fragile idea of what the perfect or ideal woman is, this ur-companion to the smart and sensitive man. We see, suddenly, what we have been reading all along, which is that this pliant, lovely, spirited, slightly vacant woman is a man’s fantasy of a woman. The troubling and slightly uncomfortable puzzle of the novel is solved. Serena is, in certain important ways, the department-store mannequin. When Haley decides to write a novel about her, to chronicle her deception as art, he decides that as a writer he has to enter her consciousness: “ I had to get out of my skin into yours. I needed to be translated, to be a transvestite, to shoehorn myself into your skirts and high heels, into your knickers, and carry your white glossy handbag on its shoulder strap.” And yet, the effort to do so is incomplete, as it has to be; it is clouded by his own vulnerabilities and hopes and vanities. It is himself he is looking for. Photo by Uriel Sinai/Getty Images. Even the sensitive, artistically attuned, intellectually sophisticated male writer sees a woman in a very different way than she would see herself. The gap McEwan investigates is enormous and fascinating, and if we truly want to understand sexual politics, we need to read, instead of ironic blogs and Caitlin Moran and faux sociology, more novels like this one.